Manifatture Knos is an independent cultural centre managed by SUD-EST Cultural Association. The centre mission is to actively involve citizens, artists and creative professionals to experiment in the social and cultural arenas. SUD-EST Cultural Association was established in 2006. The association aims at enhancing urban peripheral areas, preserving cultural and artistic heritage, promoting cultural activity, and facilitating the development of its local community. 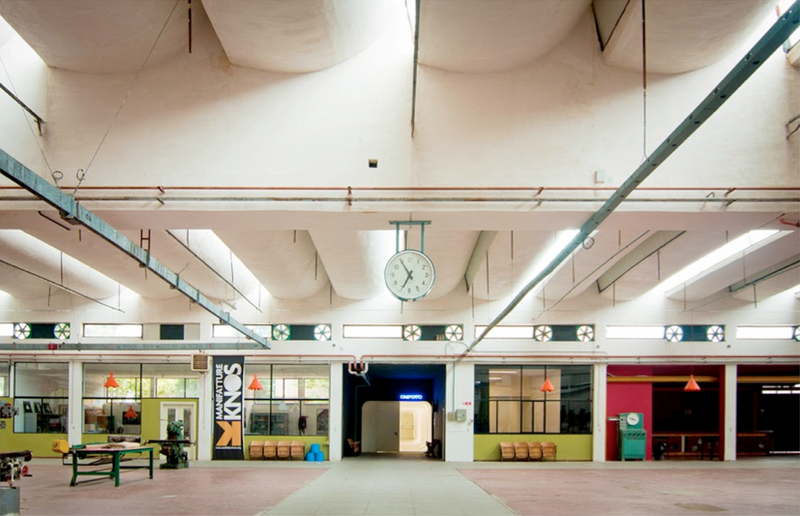 The association squared and transformed an engineering school –abandoned in the 1990’s– into the multifunctional cultural centre it is today. The building is 4 000 sqm. and it has 2 administrative offices, 1 theatre, 1 cinema, 1 laboratory, 2 workshop rooms, 1 social bike repair shop, 1 small bar and kitchen, 1 rehearsal studio, 1 studios and 1 press room. The Italian region of Apulia Region awarded Manufacture Knos a price for its good work to enhance good practices in architecture, city planning and infrastructure heritage. Watch the rest of Catalyst videos and subscribe to our mailing list to get case studies, reports and resources. Sandy Fitzgerald, Olivearte Cultural Agency, UK. Aghavni Giakopian, Olivearte Cultural Agency, UK.